I don’t know about you, but I’ve been getting an itch for adventure recently. 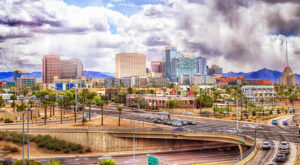 It might have something to do with the pending sizzling temperatures we’ll be expecting very soon but I like to think that it’s because Arizona is a pretty exciting place! 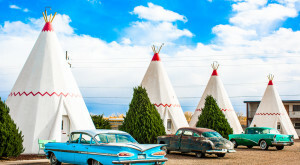 If you’re also looking to head out on an adventure but can’t leave home for extended periods of time, you’ll want to check out these incredible day trip ideas. 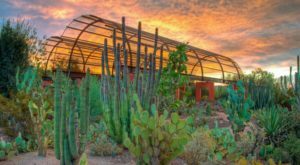 Each one will take you to an incredible place in Arizona that will remind you of the state’s beauty and history. Enjoy! 1. 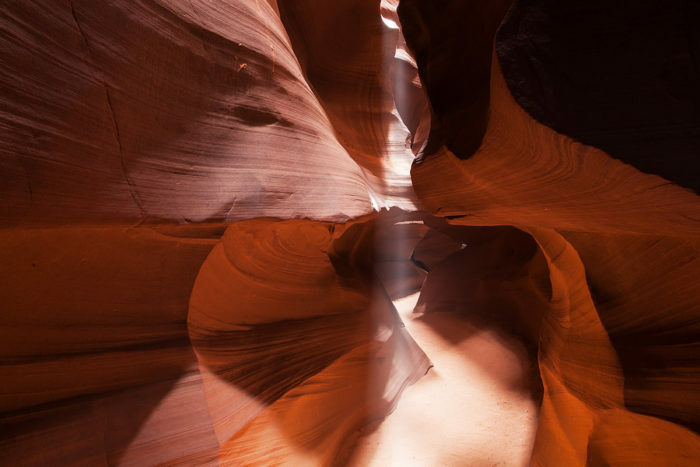 One of our top picks: Antelope Canyon! This slot canyon is hidden in the northern Arizona desert and embodies the beautiful, mysterious nature you can only find in this region of the country. Formed by rushing water, you’ll find a trek through the canyon an intriguing way to spend an afternoon. Click here to read details in a previous article. 2. Another hidden gem that is fantastic throughout the year, but especially after the snowmelt or rainstorms, is Paradise Forks. 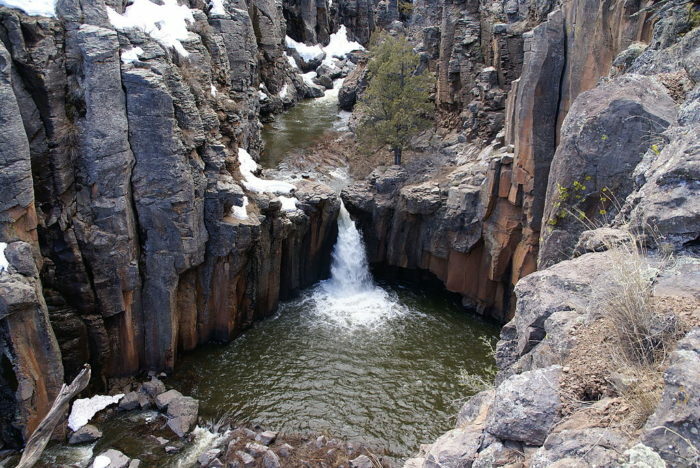 Tucked away in Sycamore Canyon, Paradise Forks (also known as Sycamore Falls) has beautiful basalt rocks that jut from the canyon floors, pools of cool water, and a seasonal waterfall. You’ll find rock climbers, hikers, and campers enjoying this space throughout the year. 3. Think a glass of wine in the country sounds like paradise? Check out Rune Wines in Sonoita. Just imagine this: the sun is setting, a warm breeze is blowing through the desert grasses, and it’s just you and a beautiful glass of wine, your pick. Sounds heavenly, doesn’t it? 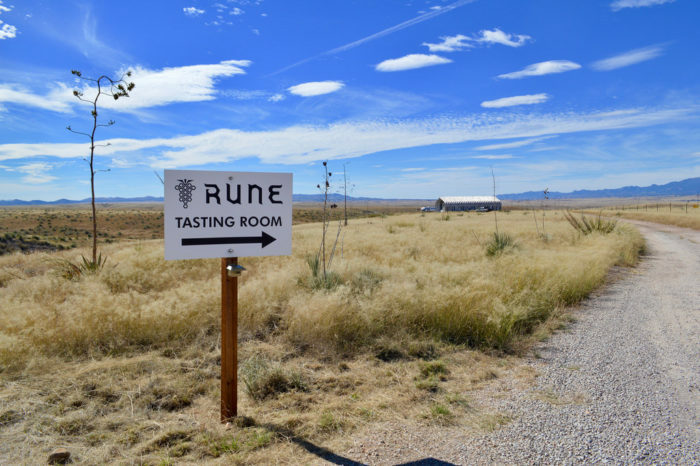 Rune Wines has a tasting room like no other: it is located outdoors with a perfect view of the desert and nearby mountains, offering a nice retreat from everyday life. 4. 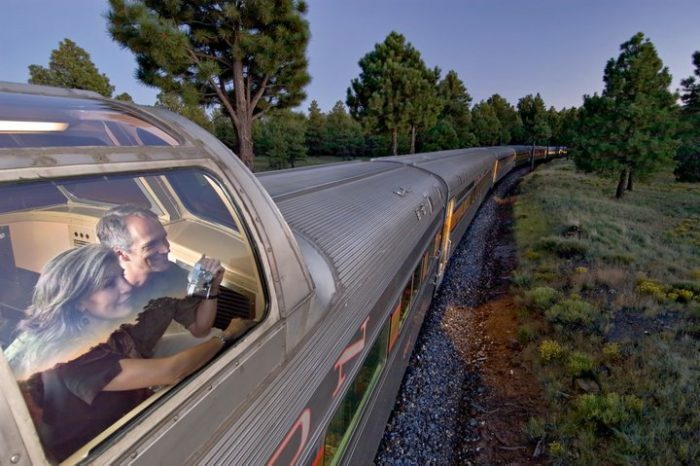 Or, what about an unforgettable way to visit the Grand Canyon: by train! Visiting the Grand Canyon is on everyone’s bucket list and one of the best ways to make that experience even more special is by riding a historic train through the woods, right up to the park’s entrance. 5. 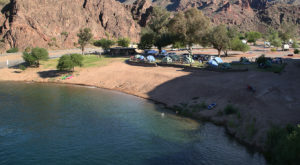 Check out one tiny town that was recently named the best in the Southwest: Ajo! 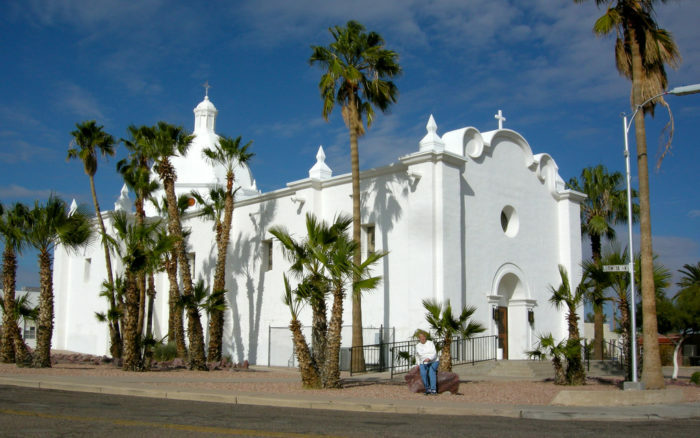 Why, yes, Ajo was named by U.S. News as the Best Southwestern Small Town and we have to agree! This former mining community is home to some gorgeous Spanish Colonial architecture and has recently experienced a new life as an art town. 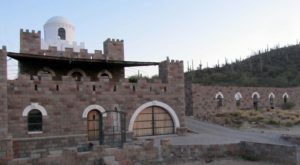 You’ll find galleries, colorful murals, and plenty of beautiful desert scenery surrounding Ajo. 6. 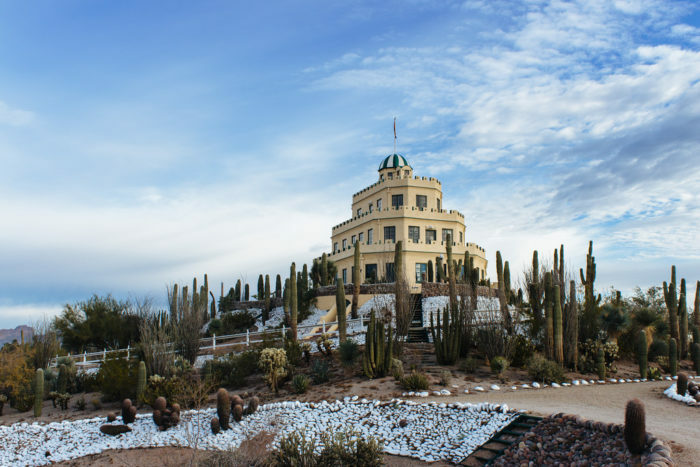 Experience a bit of Arizona history by paying a visit to the mysterious Tovrea Castle. Construction began on this wedding-cake like building in 1929 and has stood like a monument in east Phoenix. The mansion recently opened for tours, where you’ll get to tour parts of it and learn about the families that once called it home. Don’t forget to wander through the desert garden! It’s lovely, especially when the flowers are blooming. 7. 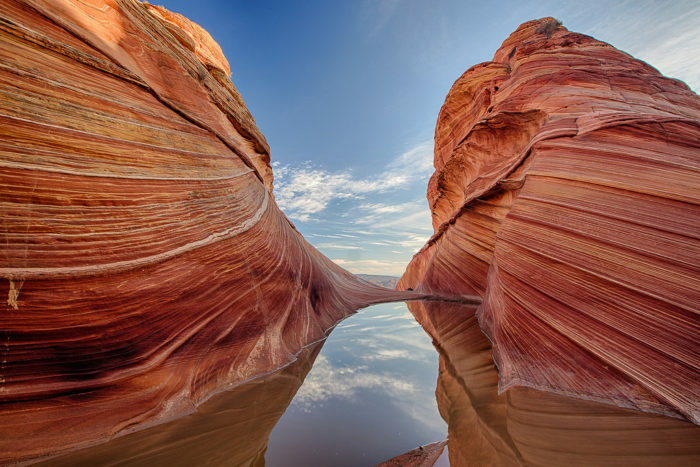 If you want to be in a truly remote area of the state, check out the Wave at Vermilion Cliffs National Monument. Located in the secluded Arizona Strip north of the Grand Canyon, this national monument has some spectacular natural areas that look like they came from a dream. The Wave is just one example. Formed by centuries of wind erosion, you’ll have the opportunity to hike the delicate sandstone and see some of the most unique rock formations in the world. 8. 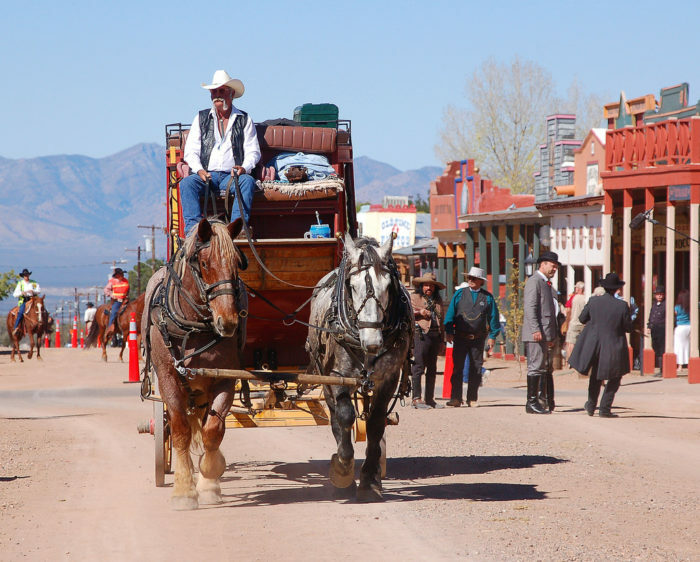 If you want to see what’s left of Arizona’s Wild West past, Tombstone is the perfect place to visit. 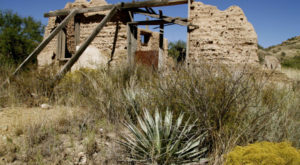 This boomtown turned ghost town turned tourist destination is one incredible place that lives in infamy. 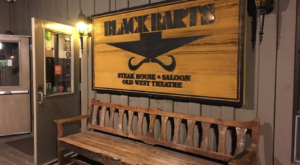 A visit these days will take you to the historic Allen Street (set up just like it would have been in the 1880s), plenty of historic reenactments, and you might even encounter a ghost or two! 9. Want to see just how varied Arizona’s landscape is? 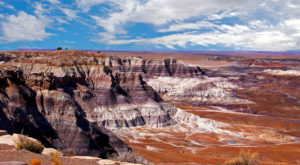 Check out Petrified Forest, a staple for Route 66 travelers for decades. 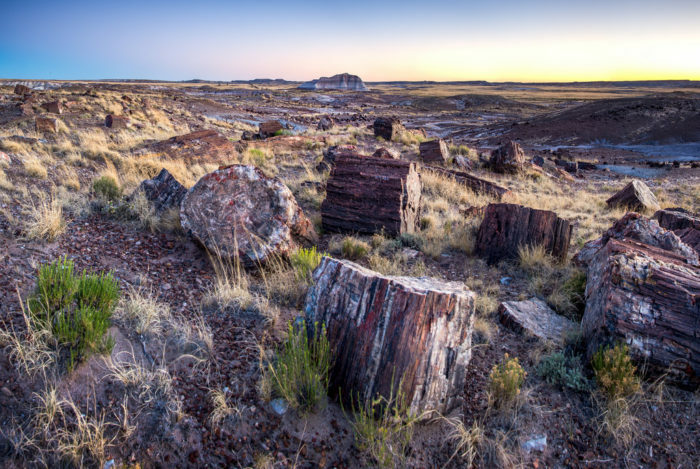 Grasslands, badlands in just about every color of the rainbow, tons of petrified wood, and centuries old dwellings can all be found in this national park. It also happens to be located right along Route 66 and today has a small monument to the Mother Road. 10. 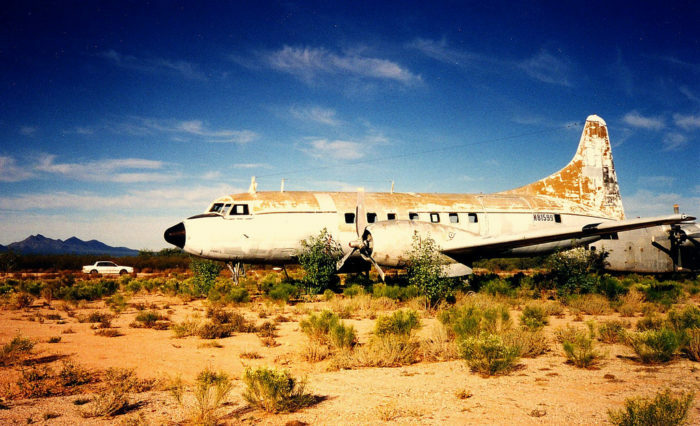 If exploring abandoned places is your cup of tea, you need to check out the airplane boneyard in Tucson. Located on the Davis-Monthan Air Force Base, this is the largest airplane boneyard in the world. It houses more than 4,000 old military and NASA planes to be used for storage or scrap. If you enjoy seeing old military planes, like B-20s, then you’ll love the informative visit here! 11. 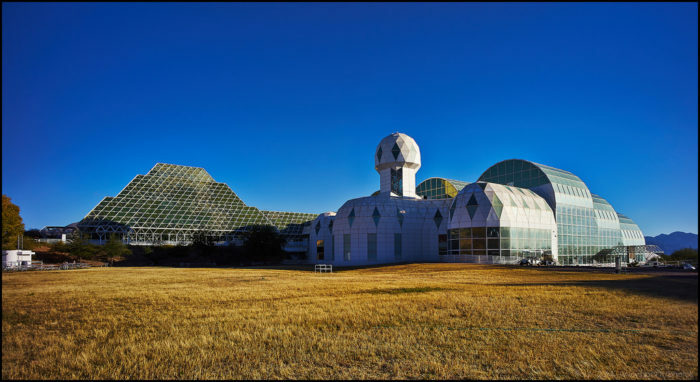 While we’re talking about the Tucson area, check out the intriguing Biosphere 2 in Oracle. This experimental facility dates to the 1990s and was a bit controversial for its time. The attempts for people to live secluded inside facility were pretty unsuccessful, with oxygen depletion, filtration systems not working, and problems with management in and outside of the dome. These days, it is owned by the University of Arizona and operated as both a museum and research facility. 12. 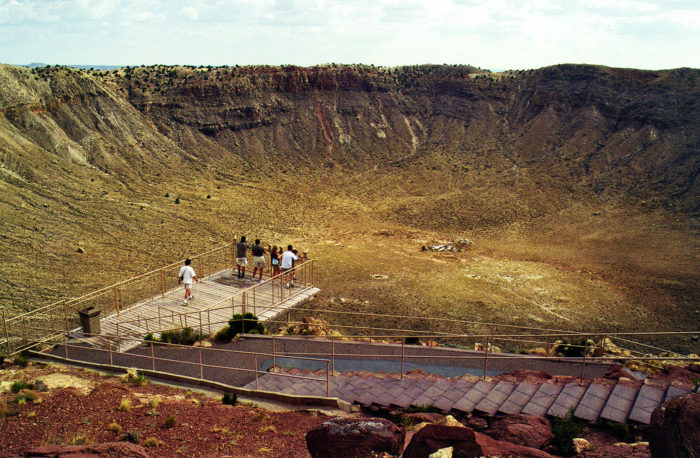 If the wonders of the universe intrigue you, then you’ll want to check out Meteor Crater near Winslow. The world’s best preserved meteor crater, this is one of the largest in the world and is actually a pretty cool spot to visit. While you may not get to see the meteorite sticking out of the earth, you will get to see the unique pattern that dates to a time when giant sloths and woolly mammoths were still roaming the earth! 13. 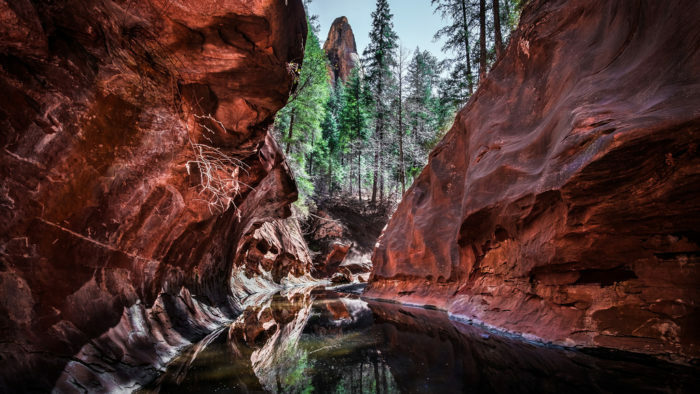 And, if you’re in the mood for a hike, you’ll want to check out one of the most beautiful trails in Arizona: West Fork of Oak Creek. This trail is popular for a reason! The trail takes you through the lush landscape that surrounds Oak Creek in the Sedona area where you can see a canyon of red rocks, towering trees, and even a bit of history along the way. The trail measures about 6.6 miles overall and is worth every minute of walking! Now that summer is rolling around, you might be interested in finding some fun outdoor activities that you can enjoy despite the temperatures. Read some of our suggestions in 11 Things You Must Do Underneath The Summer Sun in Arizona.